2tek bridges. Can you share your experience and pics? Discussion in 'Guitars in General' started by Joost Assink, Feb 10, 2012. 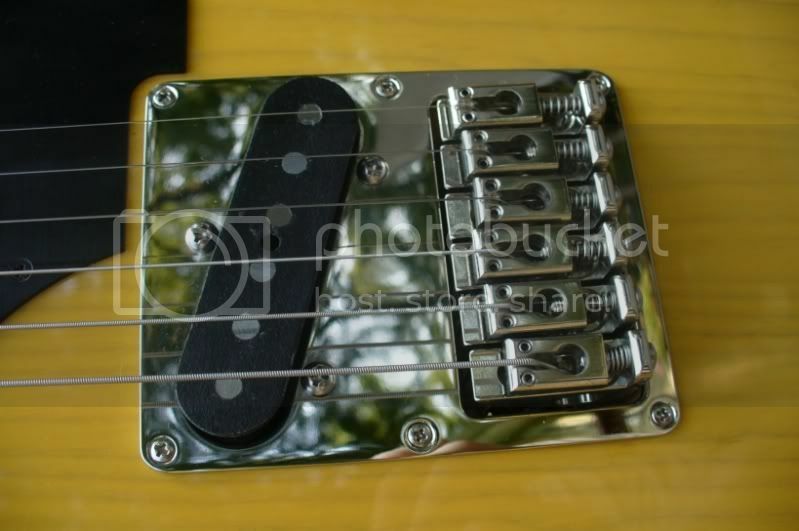 I am thinking of using a 2tek bridge in my new PRS style build. Can anyone share their experience, review and/or pics? thanks! I installed one in a strat I built. I got the 2tek for a very low price, so I decided to use it. It was a very pianistic and articulate sounding bridge. Definitely a different sound from a normal strat bridge. I'm biased as the owner is one of my best friends. That out of the way, I will tell you that the bridge does what it's advertised to do. The string/note seperation is really noticable. The crosstalk associated with most stoptail and trem bridges just isn't there. The materials and workmanship is on par with the ISO Standard Aerospace/Aircraft parts I see on a daily basis here where I work. Mike Hansen a.k.a Zilmo (owner) is a 2nd or 3rd generation machinist and really takes pride in his work. It shows....they are IMHO "Works of Art"
I don't currently have a camera but I did just get my P-bass back after having it retrofit with a 2Tek. Uhm, amazing. I was cautiously optimistic about the praise it has received as it sounded like just what I wanted to finally make my bass sustain...and now it does, oh how it does. There's a new kind of harmonic fullness and tonal clarity to my bass now...huge, round notes just sing and hang in the air. Truly, and easily, one of the best gear choices I've ever made...and I'm not even a bass player, hah! This. Best stoptail bridge EVER. As I prefer trems, I only have one 2-tek loaded guitar. 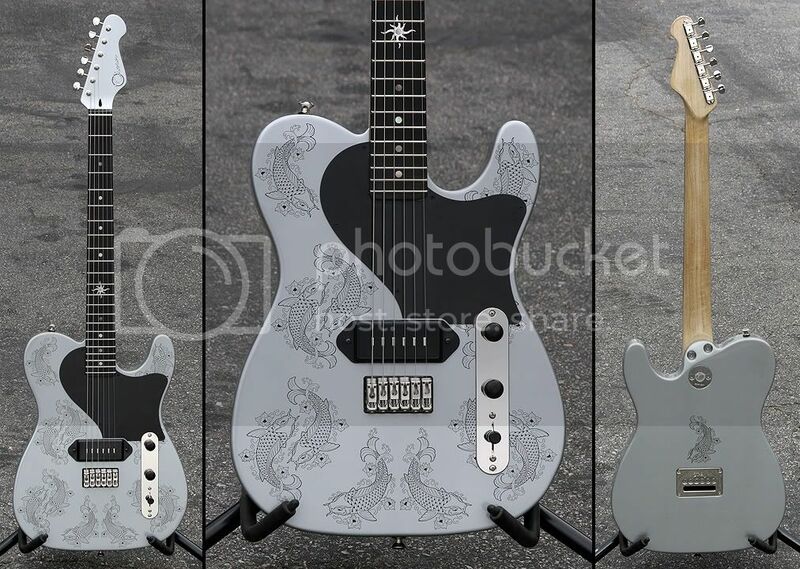 However, this guitar has a special sound and tone that is amazing!